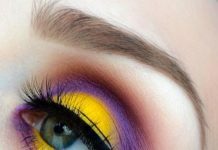 On the Spring 2018 catwalks at Paris Fashion Week, a number of eye-catching beauty looks made a bold appearance. From graphic eyes to flawless clear skin and au naturel lips, makeup trends for the season ahead were varied and versatile. 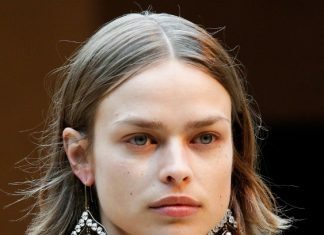 We’ve curated a few leading beauty looks, as spotted on the Paris catwalks. The Dior runway put the focus on the eyes, in the form of spider lashes with plenty of clumpy dark mascara applied. Meanwhile, black eyeliner on the lower lash line, soft rosy cheeks and pale pink lips completed the look. With youthful, glowing skin and barely there cheek colour, the makeup allowed models’ natural beauty to truly pop. At Maison Margiela, the emphasis was on the lips, and models strut the catwalk with bold pink lips. 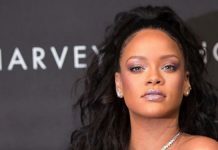 However, this was no ordinary pout, as celebrity makeup artist Pat McGrath applied the lipstick in a sweet heart formation. The heart shaped lips were paired with minimal makeup, and wet look, slick locks that were pulled away from the face. 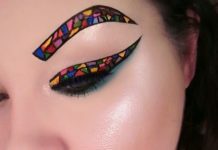 The Rochas look transformed black eyeliner into something of graphic art, with bold lines drawn in that cleanly traced the eyes. The unconventional and artsy eye makeup look was paired with pale pink lips, smooth skin and thick, natural-looking brows. With eyes that were so magnetic and oddly chic, there was certainly no need for layers of makeup or a vibrant lip!